The dramatic reunion between Peter Capaldi’s 12th Doctor and his former companions in the 2017 Doctor Who Christmas Special — “Twice Upon a Time” — almost looked very different, especially when it came to Jenna Coleman’s surprise appearance as Clara Oswald. Due to persistent scheduling conflicts, they had to settle for a scene that presented Clara as some kind of angelic vision on a battlefield, one in which she doesn’t actually appear onscreen with The Doctor. Clara appears as a glass avatar composed of her real memories. “Peter had to play to a tennis ball,” Talalay explained, “and so did Jenna, on green screen later, in the [former] Top Gear office in the middle of London, with fire engines going by.” The final product was emotionally potent and thoroughly enjoyable: the 12th Doctor regained his memory of Clara after it was erased in the Season 9 finale. 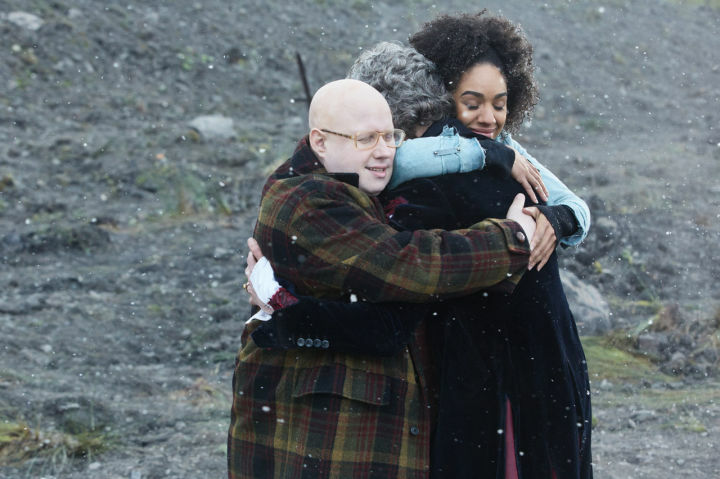 Former Doctor Who showrunner Steven Moffat, who penned “Twice Upon a Time,” revealed that he had to rewrite this particular scene several times over due to scheduling conflicts with Coleman. In the final version, Capaldi’s Doctor interacts with Clara first and then says goodbye to glass avatars of Bill and Nardole before going into his TARDIS and regenerating into Jodie Whittaker’s 13th Doctor. Doctor: “I’ll tell you something, though. You were always my favourite. The scene would have ended with The Doctor chuckling before stepping back into his TARDIS, never giving them an answer. He would have then, of course, gone on to regenerate. Unfortunately, we’ll never get to see such a scene, but it’s interesting to think of what could’ve been.